Beta time again for keen players of Elite Dangerous as Frontier Developments announced the impending arrival of the 2.4 update (“The Return”) which will eventually bring with it the much anticipated return of the Thargoids. A major part of Elite lore since the early days of past games, the Thargoids are an aggressive alien race who began surprising players but might now be about to push the galaxy into open conflict. Only time will tell as more information is revealed. 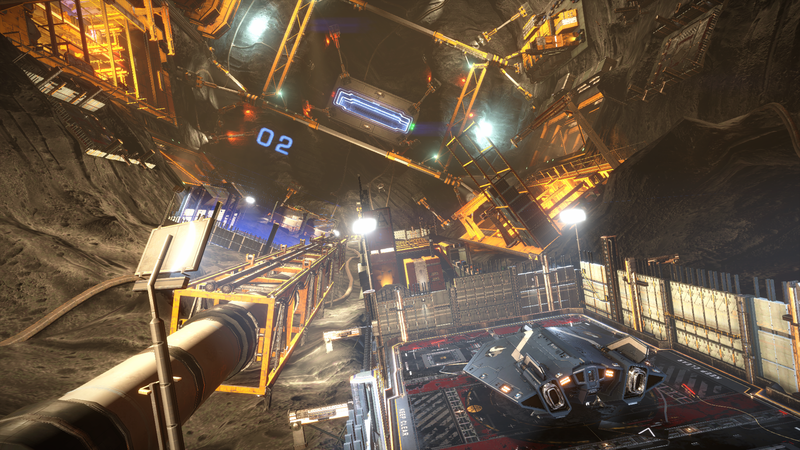 We’re very excited to announce that the beta for 2.4 Elite Dangerous: The Return will begin on August 17. As 2.4 will roll out in a slightly different way to our previous updates, the same will be the case for the beta. The initial beta period will be open for those who have previously paid for beta access, it will then close for a few days to let us prepare for Open Beta, and then it will come back online for everyone to test. We’ll have full instructions on what we need testing in our beta specific forums, but just like the beta for 2.3.10 and as with previous updates, Thargoid specific content will remain a surprise and will not be present in the beta. We will still need everyone’s help in making sure that bug fixes, general improvements and more under the hood updates are tested thoroughly though. If you do help us out by jumping in to test we’ll give you a unique tester’s decal (we’ll share details of the decal on our social media channels) to use on your ships in the main game. These decals will be made available at a later date, and we’ll have more instructions on how you can get your hands on yours when the beta change list goes live on August 17. Previously we’ve held livestreams on the run up to our releases, featuring details all about the features in the update. However, due to the nature of this update we wouldn’t want to spoil the narrative or interactions that the community will have so we won’t be broadcasting these reveal streams in the build up to the upcoming beta for 2.4. We’ll still keep things going with small sneak peeks here and there, but largely we really want you to discover 2.4’s secrets for yourself. After release, we’ll be hosting streams that focus on the narrative, explaining what our Commanders are discovering, explaining how you can get involved and hinting at things to come. Although you won’t see them in the beta, from day one after 2.4’s final release the Thargoids will make their return. We can’t wait to see your interactions with the most mysterious and terrifying things you’ll have seen in the Elite Dangerous galaxy to date. The dev team have put a lot of love in to 2.4 and we can’t wait to share that hard work with you.